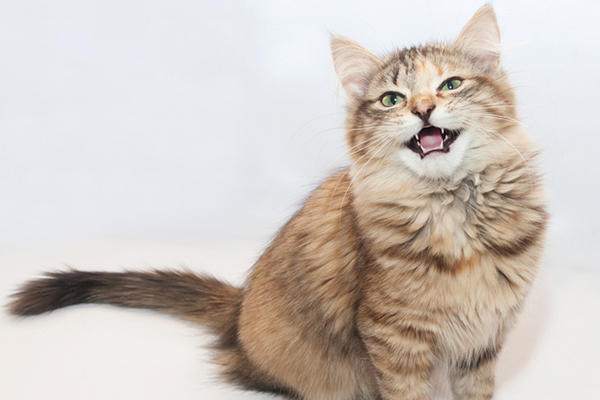 Common and simple things you might not have considered could make your kitty "go" elsewhere. Part of what we love about cats is their individuality. Cats differ on many fronts, including litter box issues. If your cat is peeing or pooping outside the box, there is rarely a single cause. Most of the time, it’s a game of trial and error before you hit on the "aha!" of why your cat is avoiding the litter box. 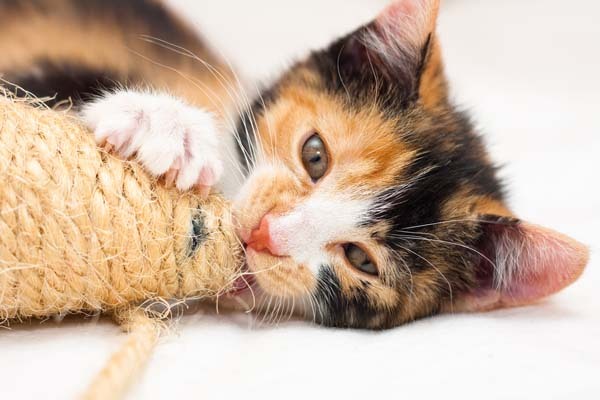 There are plenty of common reasons for litter box aversion and many that you might not expect. 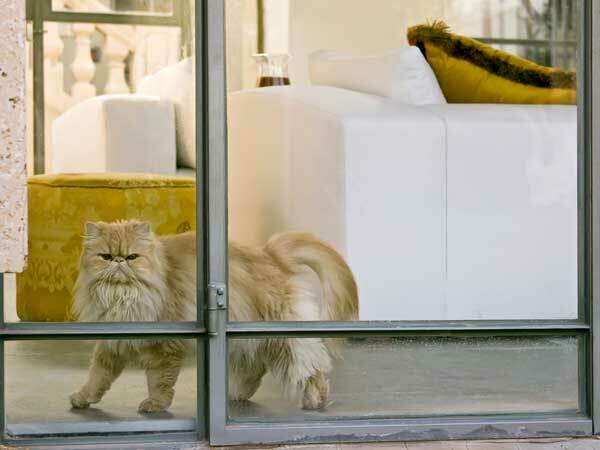 Here are five surprising reasons your cat might looking elsewhere to do his business. If your cat starts peeing and pooping outside the box, it’s important to take him to the vet to determine whether there’s a medical issue causing the new, unpleasant behavior. Cats act funny when they are in pain or uncomfortable. If your cat is constipated and it hurts when he tries to poop, he might associate ouchy poops with the litter box and try another location. The same applies if your cat has a urinary tract infection, for example. 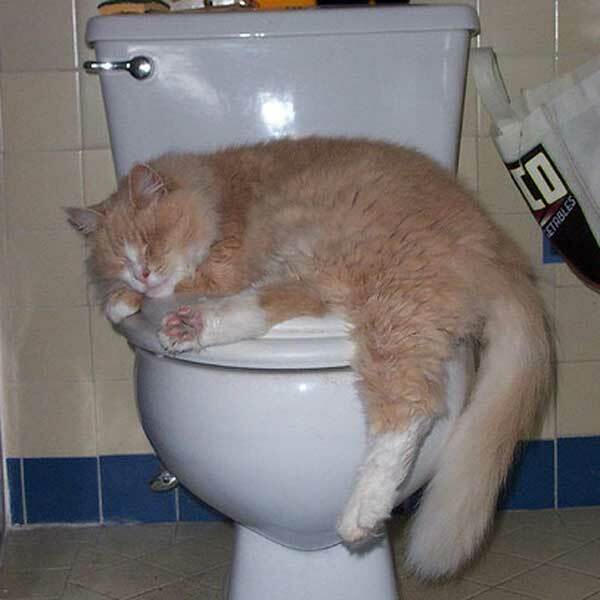 If it hurts to go pee, your cat may logically deduce that the litter box equals painful peeing. The medical issues might not be related to peeing or pooping, however. One woman told me that, unbeknownst to her, her cat had fleas and was miserable. The cat began peeing outside the box. When the woman discovered the fleas and got rid of them, the cat returned to using the box. Some cats with long hair don’t like the feel of poop remnants sticking to their fur so they might blame the litter box for their uncomfortable situation and poop elsewhere. A simple fix is to trim the fur around your kitty’s bottom and keep it nice and clean. Still other cats don’t seem to like the feel of their long fur dragging in the litter when they’re squatting. Try reducing the amount of litter in the box to see if that solves your floofy kitty’s litter box avoidance. Cats generally aren’t big fans of walking on crinkly, plastic things, so if you are using any sort of plastic lining in the box, this could contribute to litter box avoidance. Jackson Galaxy, star of My Cat From Hell, has an interesting theory about litter box liners. He believes long-haired cats accumulate static electricity in their fluffy fur, and if they brush up against a plastic liner ÔÇô- zap! Static electric shock! And who wants to go into a box that zaps? Also, if you are trying to keep the box fastidiously clean, liners can add to the smell problem. Plastic sheets used as liners will inevitably get torn by your cat’s claws and guess what? Pee and bacteria will easily get trapped underneath, creating a bigger mess and smell than you were trying to avoid. It’s hard to accept that our cats are growing older and might be suffering from arthritis. If your older cat begins going outside the box, first get him checked out by the vet and then consider whether it might be painful for him to use the box. Jumping in and out of the box might hurt. Also, crouching in the box can also be painful for a cat with arthritis. Sometimes the litter level can even play into it. If it’s super deep, a cat might have to grasp the bottom of the box, which could be painful, so experiment with the level of litter. Even if he goes pee in the box but not poop, it still might be arthritis because the stance a cat takes to go No. 2 is different than for No. 1. 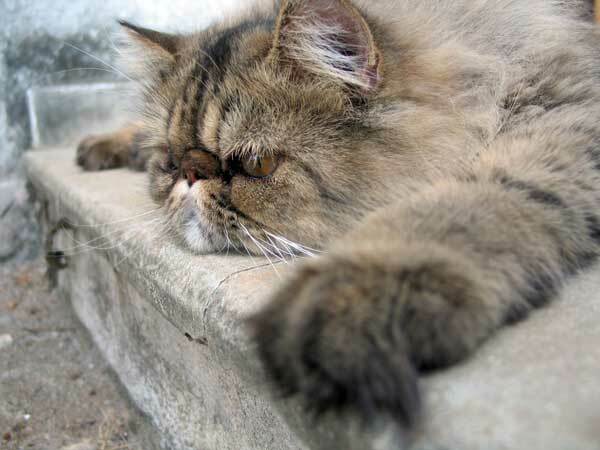 Litter boxes he won’t have to jump into — one with low sides or a side entrance — are best for a cat with sore, stiff joints. 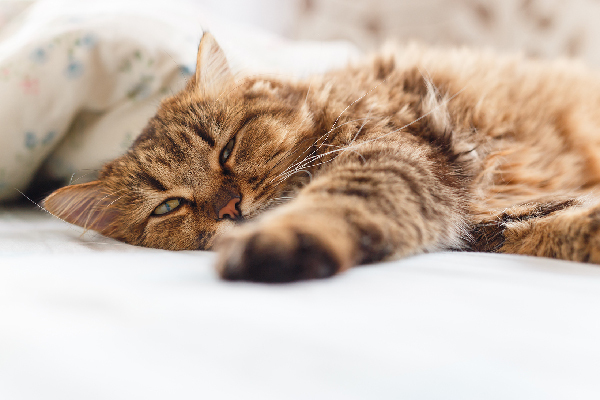 If your cat starts marking in the house, which is typically characterized by a stream of concentrated urine "sprayed" on a vertical surface like a wall or curtains, it can be frustrating. Most cat owners look around the house to see what is bothering their cat. Are the other cats behaving themselves? Have there been houseguests? Are the kids bothering the cats? Why is the cat suddenly behaving this way? Remember to look outside the house for possible causes. Roaming neighborhood cats in the yard can set off your cat and make him feel like he needs to claim his territory. A woman I know could not figure out what was causing her indoor cat to suddenly start marking, until she saw a wild bobcat hanging around her yard. Then it was perfectly clear. If you think the spraying problem might be caused by something (or someone) outside, you can block your cat’s view of the outside by closing the blinds. You can also take measures to keep the invader off your lawn by using motion activated sprinklers or unpleasant sounds. 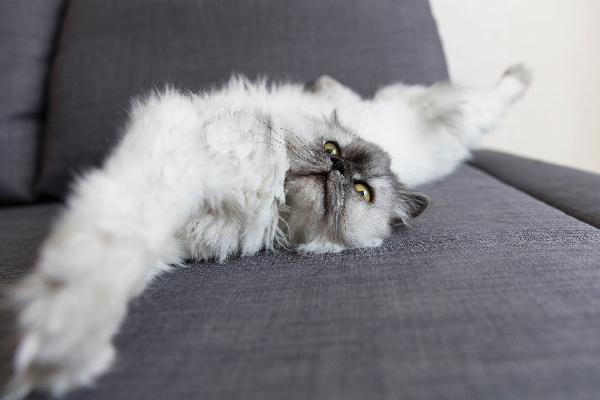 In the end, there are many reasons your cat might not be using the litter box. Even after you’ve tried all the obvious things, don’t give up on him. Think like a detective and consider the not-so-obvious. With a little patience and persistence, you’ll pinpoint the cause and get him back to the box.